Everyone knows well, how impossible it was for anyone to climb up the steps of that mosque and take Baba's darshan to his heart's content, against Baba's wishes. 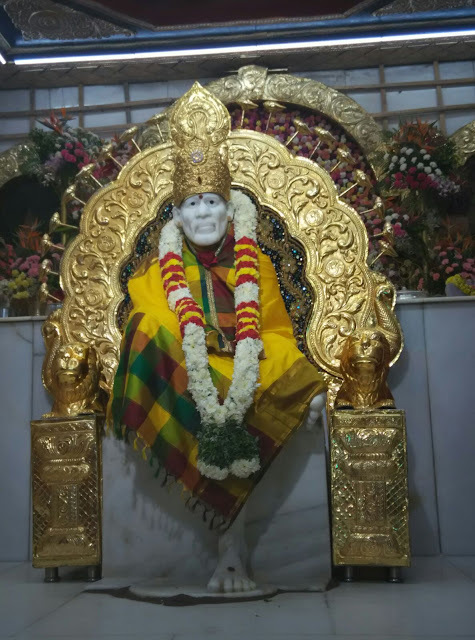 Whatever you send for Baba, and with whosoever you send it, provided it is sent with sincere, heart-felt love, Baba will ask for it, without fail, even if the bearer of that small offering forgets! Early morning before the sunrise, which is the most perfect time for worship, Tarkad would begin the pooja with this prayer, every day and offer Naivedya at the end. First feed those who are hungry, then eat yourself. Preserve this truth carefully in your heart." "Sometimes I am a dog and sometimes a pig; sometimes I am a cow, sometimes a cat, and sometimes an ant, a fly, an aquatic creature - in such various forms do I move about in this world.  Chapter - 9 Shri Sai Satcharita.